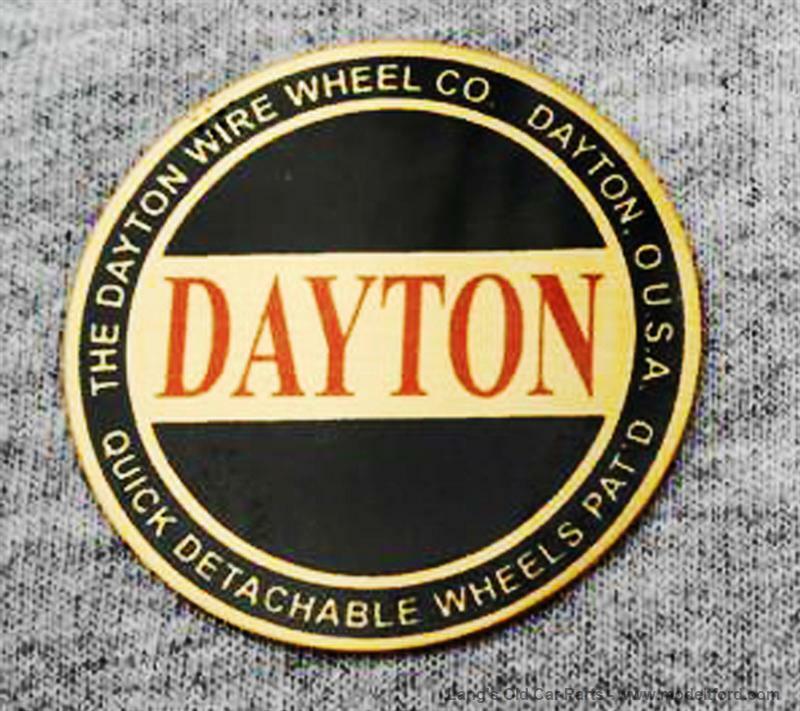 Excellent quality reproductions for of the Badge for the Dayton wheel caps. Two styles are available, this one very early and the more common later style part# 2881LB. The image is "dye immersed" on a metal disc, they are not acid etched. These Look identical to original badges. They will require drilling for mounting pins to match original cap mounting holes, these holes varied originally.